Really good, whole and organic edibles and topicals. No chemicals, no additives, no bad days. Leif Medicinals is a small, family-owned and run company that strives to bring high quality goods to Oregon's cannabis consumers. We seek to always use responsibly sourced ingredients that are sustainable, fair trade, organic, local and/or worker focused. All products are handmade in Portland, OR. Our products are available in numerous dispensaries throughout Oregon, carrying both medical/OMMP and recreational items. For dispensaries interested in carrying Leif Medicinals, please contact us directly. 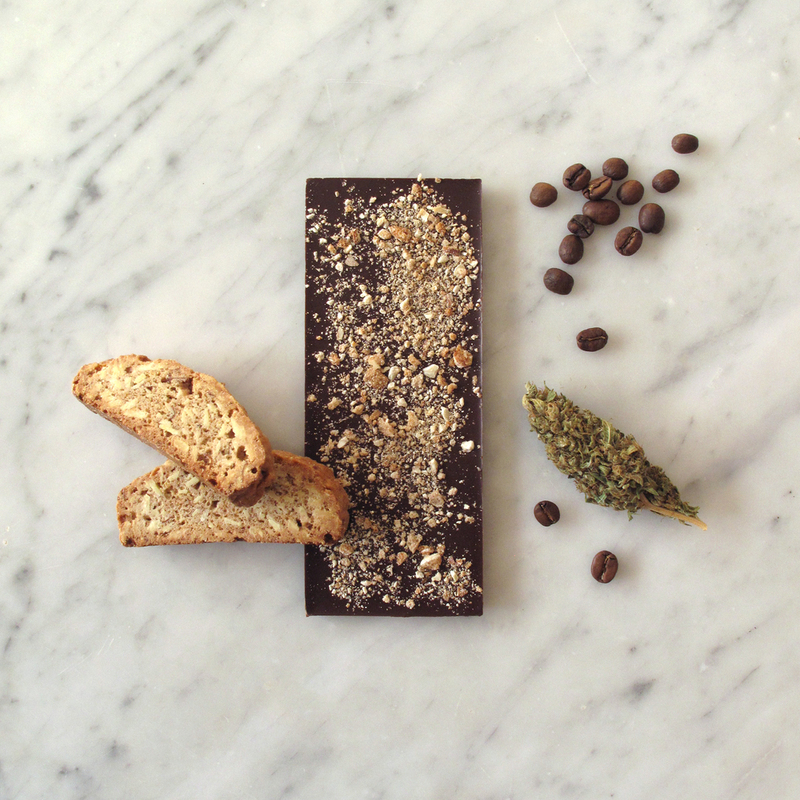 All of our edibles are crafted from high quality ingredients that are healthy, natural and organic wherever possible. We never use high-fructose corn syrup or additives, and all of our products are non-GMO and soy-free. Some items are also dairy-free and gluten free. Our full extract cannabis oil is carefully incorporated for consistency and reliability, with everything we make stringently tested for accuracy and safety, batch by batch. With a commitment to flavor, potency and quality, Leif edibles are always good for you and tasty, too. 35% White chocolate with coffee, sweet cacao nibs and a dusting of smoked sea salt. This exciting, slightly caffeinated bar imparts the flavor of a smooth, sweet cappuccino. Made exclusively with Ristretto Roasters Beaumont Blend, roasted and served in Portland, OR. Soy-free, fair trade, gluten-free, non-GMO. 35% White chocolate with organic chai tea blend. 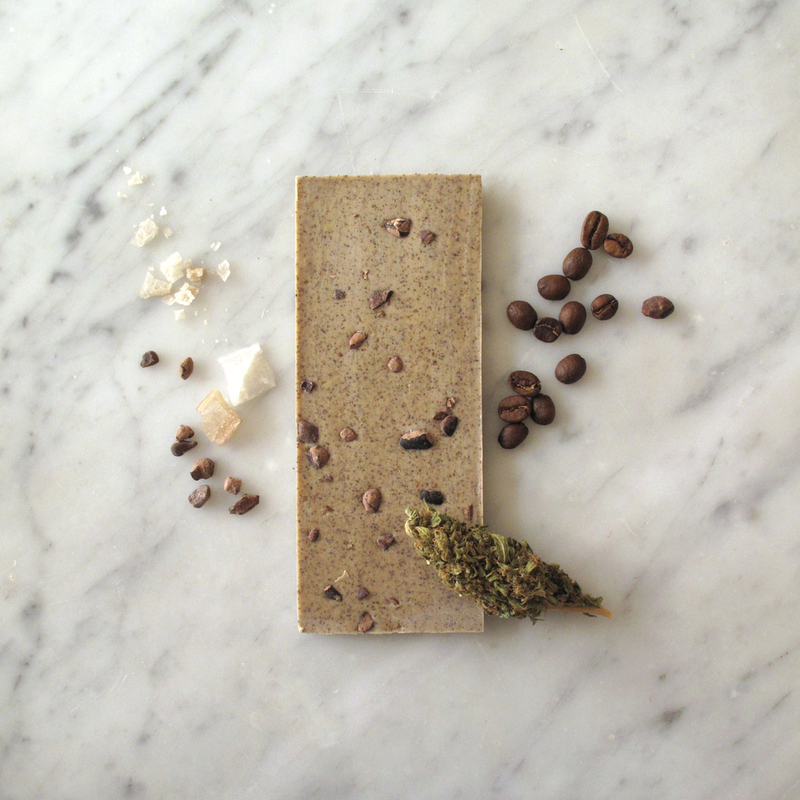 This creamy, delicious bar is packed with antioxidants and provides a smooth dosage of caffeine from organic black tea. A delicious, complex blend of chai spices to warm the tastebuds and the light spice of ginger, add to the flavor of this bar. Made exclusively with tea and spices from Portland's Jasmine Pearl Tea Co. Soy-free, fair trade, gluten-free, non-GMO. 55% Dark chocolate with coffee and biscotti crumbles. Lightly caffeinated with the deep, warm flavor of a mocaccino combined with the sweet, nutty crunch of biscotti you would dip into your afternoon fix at an Italian cafe. Made exclusively with Ristretto Roasters Beaumont Blend, roasted and served in Portland, OR and cinnamon almond biscotti from the esteemed Portland-based Roman Candle Baking. Dairy-free, soy-free, fair trade, non-GMO. 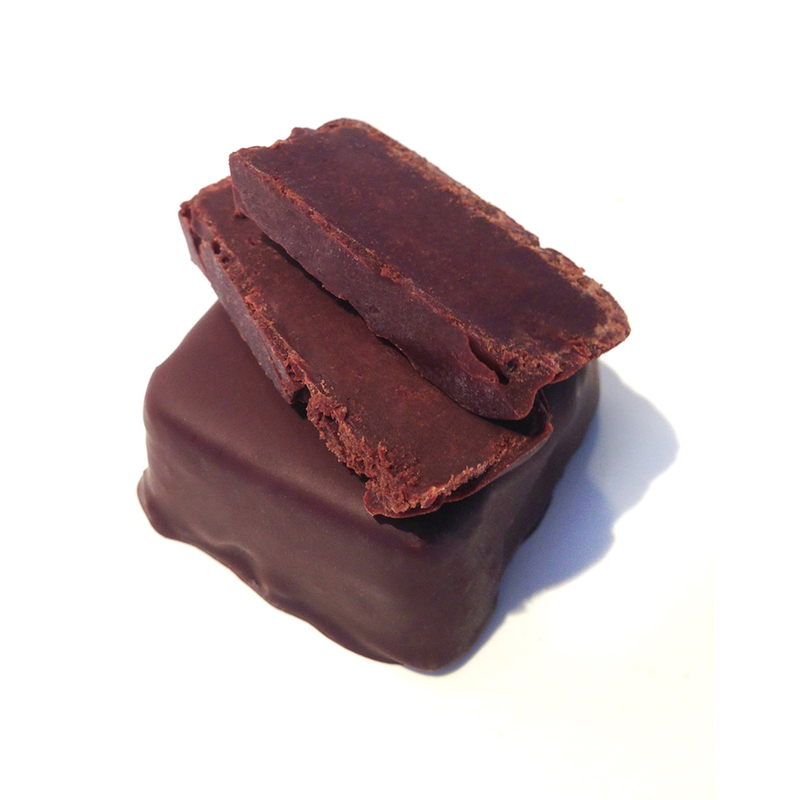 55% Dark chocolate with Seely peppermint oil, dusted with pulverized hibiscus flower. This high-CBD hybrid combines the refreshing flavor of Oregon-grown mint mixed perfectly with sweet dark chocolate and the tart brightness of organic hibiscus provided by The Jasmine Pearl Tea Company. Dairy-free, soy-free, fair trade, gluten-free, non-GMO. This product is available as a low-dose edible for both medical patients and recreational consumers, along with each of our large-sized bars. All items are below 15mg THC. Our infused chocolate truffles are crafted with deep, fudgy, fair-trade dark chocolate, rich coconut cream and full extract cannabis oil. Dairy-free, soy-free, fair trade, gluten-free, non-GMO. Our 100% plant-based topical balms are made of the highest quality, organic ingredients, including a healing base for conditions such as dry skin, eczema and mild irritations, and potent cannabis extract for serious muscle aches and pains. Our formulation is non-greasy and leaves your skin and muscles feeling soothed and nourished. Additional ingredients like Arnica flower and aromatherapeutic essential oils add to the pain relieving properties of this extremely effective topical. Each ounce of our balms contains over 300mg of activated THC and 30mg of activated CBD. An earthy combination of cedarwood and orange. Grounding and invigorating. Available in 1oz. and 2oz. tins. A calming and uplifting mix of lavender and bergamot. Refreshing and soothing. Leif Medicinals specializes in the processing and use of organic full extract cannabis oil. Our method involves the use of food-grade, organic, ethyl alcohol to extract cannabinoids from plant matter, ensuring a clean, safe concentrate. Via a distillation process, no alcohol remains once the extraction is complete, resulting in pure, activated cannabinoids that can be consumed sublingually, via digestion by incorporating into edibles, or topically. Unlike BHO, PHO and other solvent-based extractions, there are no potential dangers to consuming full extract cannabis oil. There are no residual chemicals to worry about, and no lubricants or cleansers used in certain extraction machinery that might seep into the final product. Full extract cannabis oil has also been the primary type of oil used to treat epileptic seizures, cancer and other ailments that demand a highly concentrated, very safe and edible manner of transmitting cannabinoids to the system. Leif Medicinals products are available in numerous locations throughout Oregon. Please reference leafly.com and contact individual stores for up to date information on which products are stocked. We can also be reached directly about these requests for information. For inquiries about carrying Leif, please contact us directly. If you want to learn more about our products, ingredients, processes, how to obtain a medical marijuana card or to hear more about our story, send us a note and we'll be in touch. 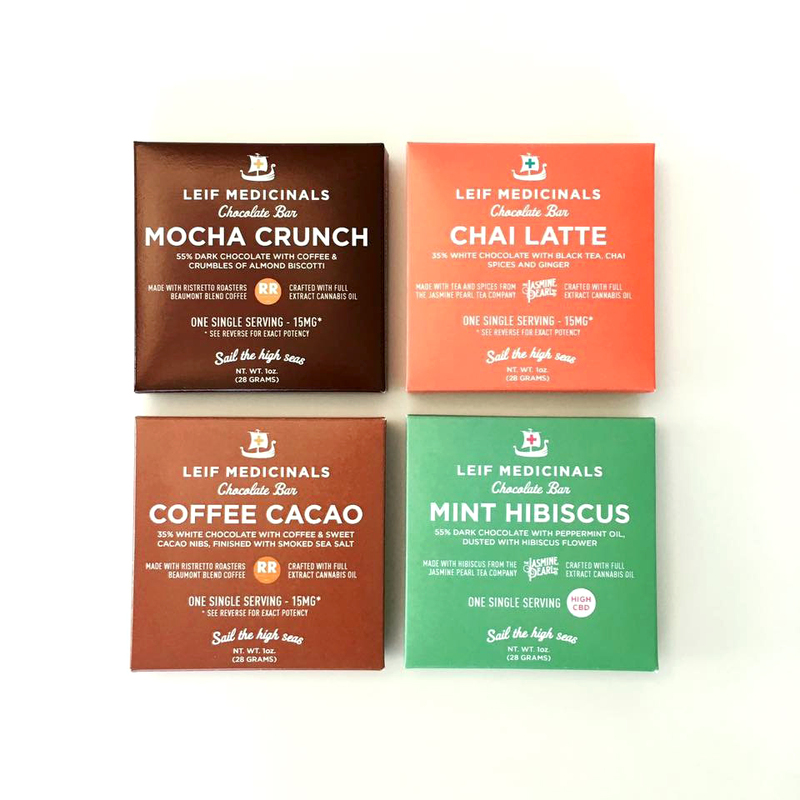 We are located in Portland, OR and can be reached at hello@leifmedicinals.com. For orders and sales information, please get in touch with us directly to discuss.